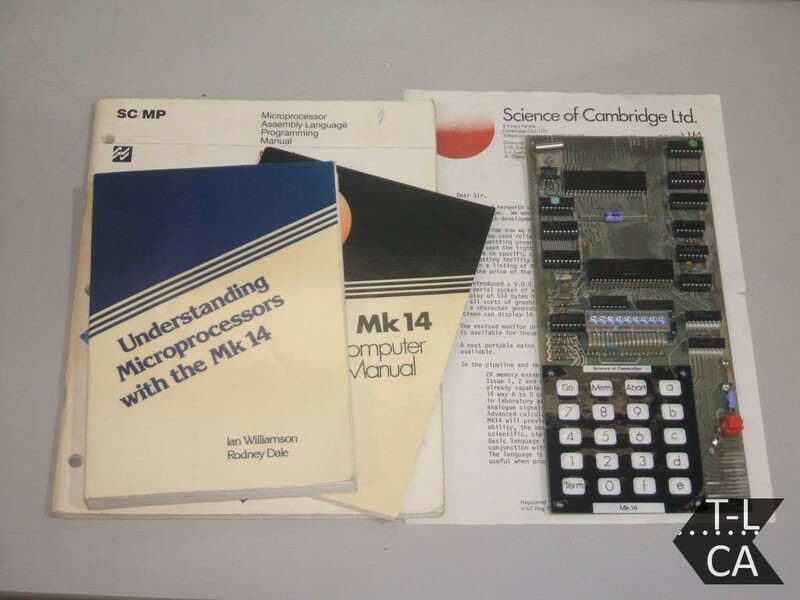 First introduced in 1977 the Mk14 was sold as a kit via mail order and retailed at £39.95 + postage. The CPU was a National semiconductor INS8060n SC/MP, it had 256 bytes RAM, expandable to 640 bytes.. Input was through a keypad with 20 keys and it also has a reset button. The display was through 8 – 9 light emitting diodes (LED’s). This basic Single-Board computer was designed to teach someone how to program.